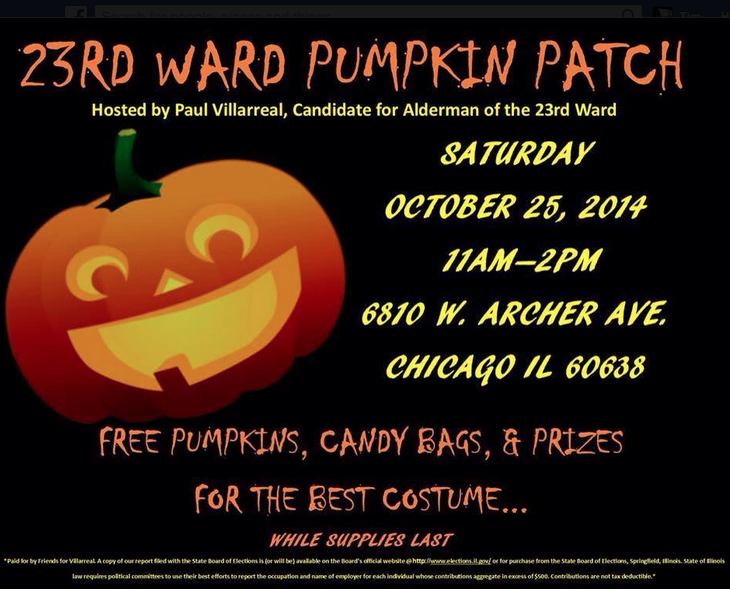 moved out of Garfield Ridge this year, and down the road a bit to Summit, 23rd Ward aldermanic candidate Paulino Villarreal decided to host a "pumpkin patch" event in front of his storefront headquarters (near Archer and Oak Park), which is on the former longtime parade route in Garfield Ridge. The event started at 11 a.m., the same time that Lipinski's parade stepped off in Summit. Villarreal said he started with about 250 pumpkins and gave away all of them by the time the event ended at 2 p.m. Children in costume also received candy and prizes for best costumes.